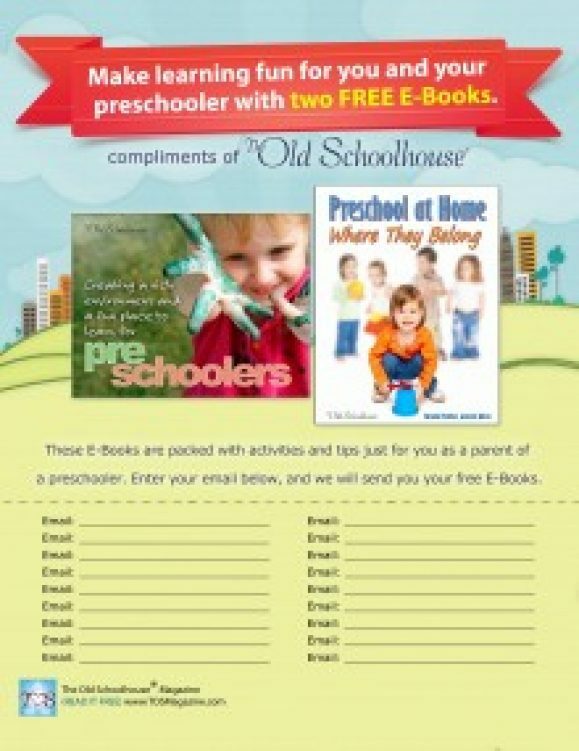 This flyer promotes our 2 FREE preschool E-Books, plus it also serves as a sign-in sheet for meetings. This is perfect for MOPS or other support groups who are looking for ways to encourage homeschooling to families of preschoolers. 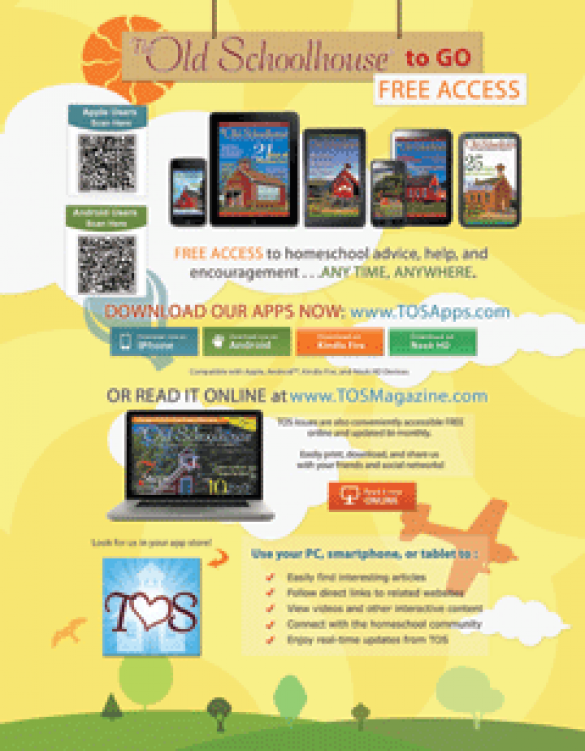 This flyer promotes our FREE digital magazine, The Old Schoolhouse® Magazine. Spread the word about the best & most encouraging homeschool magazine made by homeschoolers for homeschoolers worldwide. So enjoy our FREE magazine today! This marketing flyer promotes our FREE digital magazine, The Old Schoolhouse® in addition to offering 50% off of the Schoolhouse Library. Don’t miss this deal offered by everyone’s favorite homeschool magazine! Enjoy and buy it today!